WildFire Rises From The Ashes! 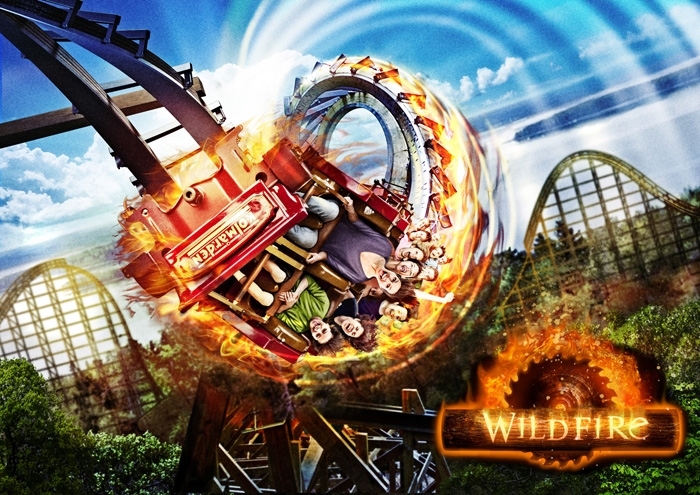 In a very surprising decision by the local land and environment court which Kolmården made it's appeal to, WildFire has been given the green light to continue being built. The planning application was originally granted to the park in Sweden back in October 2014 but had been revoked back in February. The coaster has been dubbed by the park as the "greatest wooden rollercoaster" in the world, and is being built by RMC with trains being made by Vekoma, and despite the delay still expected to be open in the 2016 season. In my opinion following everything we've had recently with The Smiler this is some good news for the theme park industry. Re: BREAKING NEWS: WildFire Rises From The Ashes! That is fantastic news! Always good to see permission being granted for new rides, especcially this thing! I couldn't agree more with Thekingin64, it is fantastic news that the permision has been given, I seriously think this is going to be one of the best wooden rollercoasters on the planet when it opens. I for one didn't expect this to happen once it's planning application had been denied, but I am seriously glad it has as it did look stunning and ambitious, I just hope they don't have any more problems in the building process.